Whenever you need dental work or have questions about cosmetic dentistry, Buhite & Buhite, DDS is here for you. As specialists in restorative dentistry, this Rochester, NY-based dentist office understands the various causes of wear-and-tear in teeth and provides high-quality treatment for their clients. For over 40 years, the restorative dentistry team has dealt with a large number of clients who required extensive work and offer a variety of solutions, including dental crowns, bridges, custom dentures, teeth whitening treatments, and more. 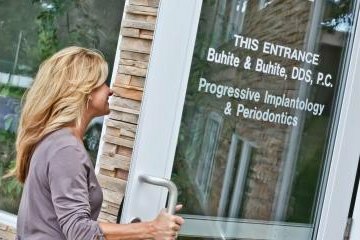 No matter the situation, the dentists at Buhite & Buhite, DDS have the skills and technology to give you that picture-perfect smile. As you get older, you'll notice a change in your smile. 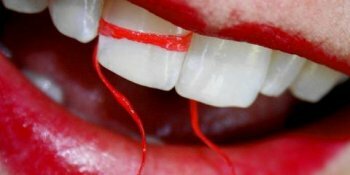 Teeth begin to wear down and sometimes chip when you bite or chew food. Gradually, your gums will start to recede. Ask any of the dentists at Buhite & Buhite, DDS, and they'll explain how the bottom front teeth have a tendency to shift first, which then hit the top front teeth, causing them to either wear down or push forward. Another factor that can cause your teeth to shift is the amount of stress someone is dealing with at any given time. Stress can result in tension in your jaw, which will then clench and spasm. This sometimes causes a person to grind their teeth at night, wearing down their back molars and eventually making them lean forward. There is a wide selection of restorative dentistry options available at Buhite & Buhite, DDS, so there's no need to put off an appointment any longer! Give the Rochester practice a call at (585) 342-1323 to schedule a dental exam, or visit their website for more information on restorative dentistry and teeth shifting.